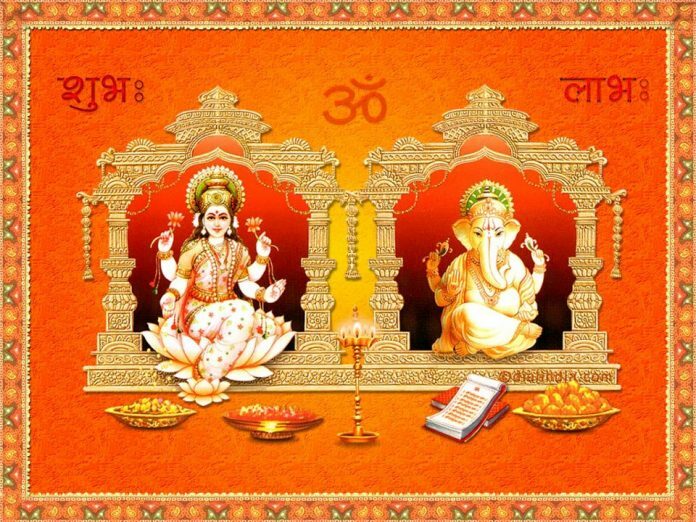 Diwali/Deepawali is an auspicious festival in Hindu religion celebrated by every Hindu all around the globe. This year Diwali festival falls on 19th October on Thursday in India. It observed on Amavasya of Kartik month of Krishan paksha according to Hindu calendar. diwali is marked as the day when Lord Rama return to their kingdom Ayodhya along with mata sita and bother lakshmana after 14 years of agyatwas. People welcome Lord Rama with rangoli and lights and celebrate the day by exchanging gifts and sweets. Devotees also worship goddess Lakshmi with Lord Ganesha on Diwali festival and believe to get a blessing of goddess Lakshmi. For the preparation of Diwali festival, Hindus clean and decorate their house with flowers, Rangoli, and lights. People are required to keep a Kalash with a unpeeled coconut in the temple. Making rangoli at the entrance of the house and office is considered as auspicious on Diwali. Keep Roli (red sindur), Moli (red thread), dhup, dubda, Kapoor (camphor), lotus flower, supari, cardamom, clove, paan leaf, rice, sugar, sweet, and Ganga jal in thali for puja.